Building long-lasting customer relationship is like maintaining friendship. When customers first come on board, an organisation should go the extra mile to show that they care. When things go wrong, an empathetic and human response could save a relationship from a breakup. Treating long-term customers with deep understanding also goes a long way. Although technology makes maintaining customer relationship easier, it doesn’t replace the human touch that customers highly value. 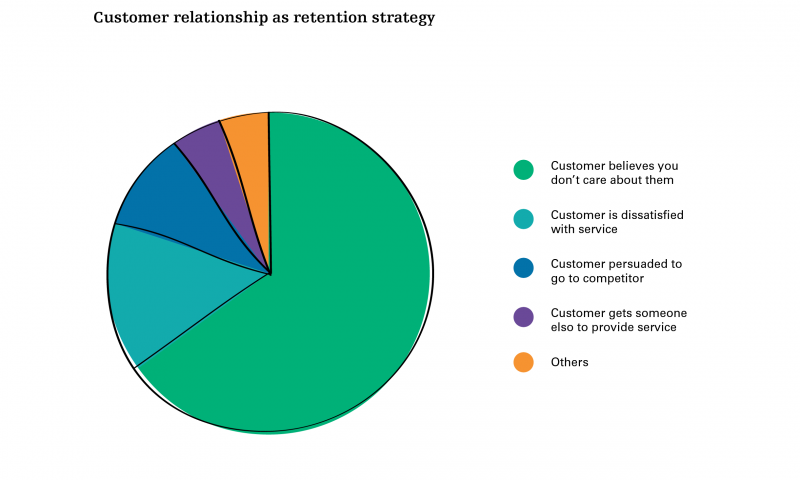 Parallels between customer relationship and friendship reveal ways to improve mass services. Doing more business with existing customers is easier than winning new ones. Technology does not replace human touch and service mindset that customers highly value. Modern technology has made customer-relationship building and management significantly easier. However, it does not replace the human touch and a service mindset that customers highly value. Corporate lawyers and wealth managers are generally good relationship builders. They use a sophisticated and personal service approach to grow and retain their very valuable clients. Banks and telecommunications businesses, however, tend to adopt an impersonal service approach while offering standardised services. In fact, it does not have to be that way: providers of mass-market services can also develop valuable and personal customer relationship. The parallels between customer relationship and friendship reveal simple opportunities to improve the quality of most mass-market services. By analysing three key phases of personal relationship – the early days, the first disagreement, the long haul – we can conclude some insights that are applicable to the business setting. 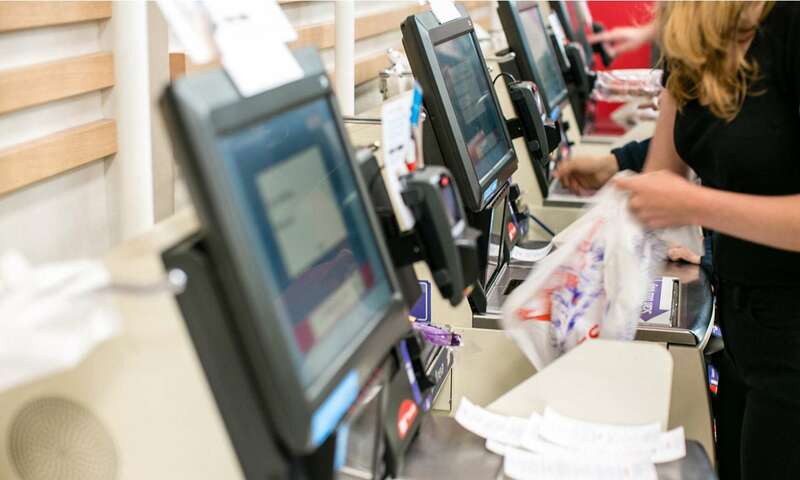 Customers are bombarded with loyalty offers and cards. When customers reach out to the organisation they have to wait in queue. The early days of personal relationship are exciting and intense – a great stage to build a healthy rapport. Customers in general are more excited and attentive during their first interactions with a brand. Early-day excitement should not be wasted: it is the best time to convince customers that they have made a good decision of choosing you. It is also time to show customers that you care. During this phase, a little extra communication can go a long way and preempt issues that may happen later. New customers are likely to understand your product or service less than you do. Therefore, there are plenty of opportunities to surprise them. People like simplicity; they don’t want to phone you for questions about their first invoice. They appreciate any effort to help them understand how things work before they happen, such as telling them how to read the bill before they receive the first one. Over 65% of customers defect because they think a service provider is indifferent to them, versus 15% that leave because they are dissatisfied with the service. Defection has little to do with the quality of the service but the quality of the relationship that is built from the beginning and over time. 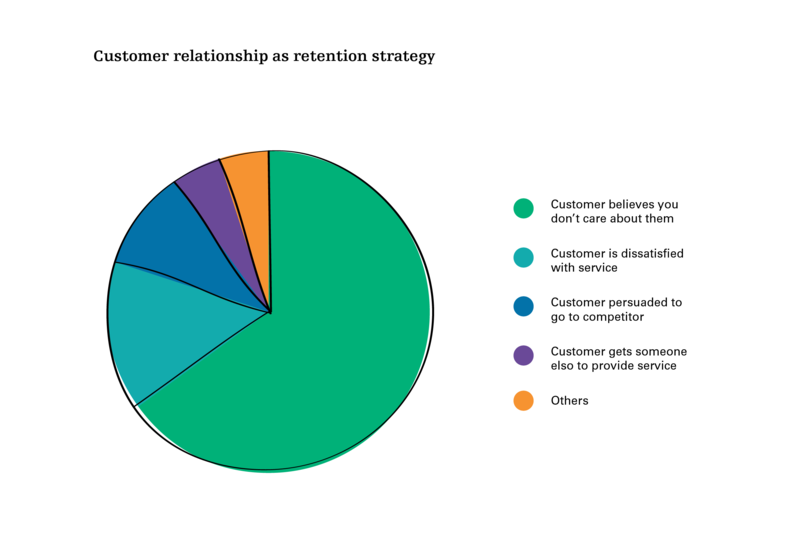 Investing in customer relationships improves the overall satisfaction, customer retention and loyalty. Things do go wrong. Your response to an incident is what makes the difference. A great response to an unpleasant event should be human, empathetic and flexible, and can significantly improve customer loyalty. However, when your response is mechanical and one-sided, customers would walk away. An unsatisfactory response from a gas company is a case in point. Customers found that their voluntary meter readings resulted in even higher payments. They felt that they were tricked into volunteering their meter information. Therefore, a better response would have been a thank-you gesture from the company and fair payment terms. While long-term customers enjoy the comfort of doing business with you over a long period of time, they also expect you to treat them differently compared with new customers. Failing to do that causes disproportionate irritation for long-term customers, who are likely to take their new business elsewhere. Banks are famous for irritating customers. After staying with the same bank for decades, customers suddenly realise those years have made no difference in how the bank serves them. When they apply for a new service, for instance, they are treated as if the bank does not know them at all. Doing more business with existing customers is actually easier than winning new ones. Many organisations aren’t very good at doing more with their customers – many don’t even try. Supporting new customers, responding to issues in a human and empathetic manner and valuing long-term customers help cultivate and grow relationship.